I can't tell you for sure this was the same model mask but I know that I took a shot off the top of my head and got knocked out in something similar. 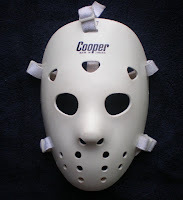 The following years before my first retirement from hockey I used various different helmets and cages and never really had a chance to get my custom paint job. 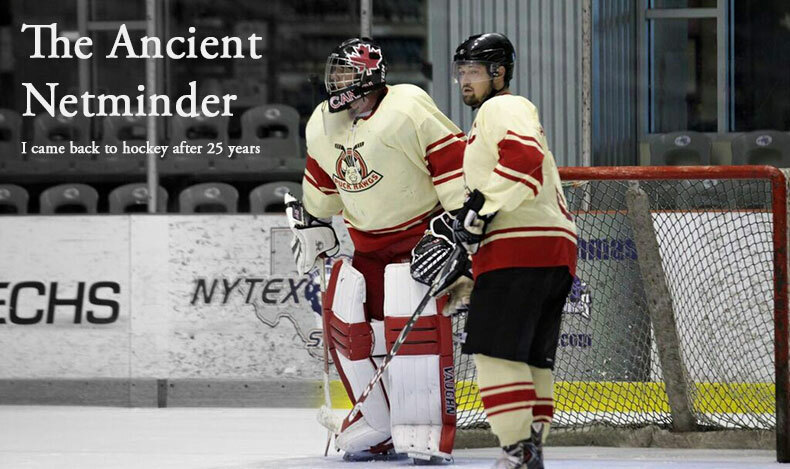 Since coming back to the net, I started my own adult league team and enjoyed working up a team logo and jerseys and giving the team an identity. 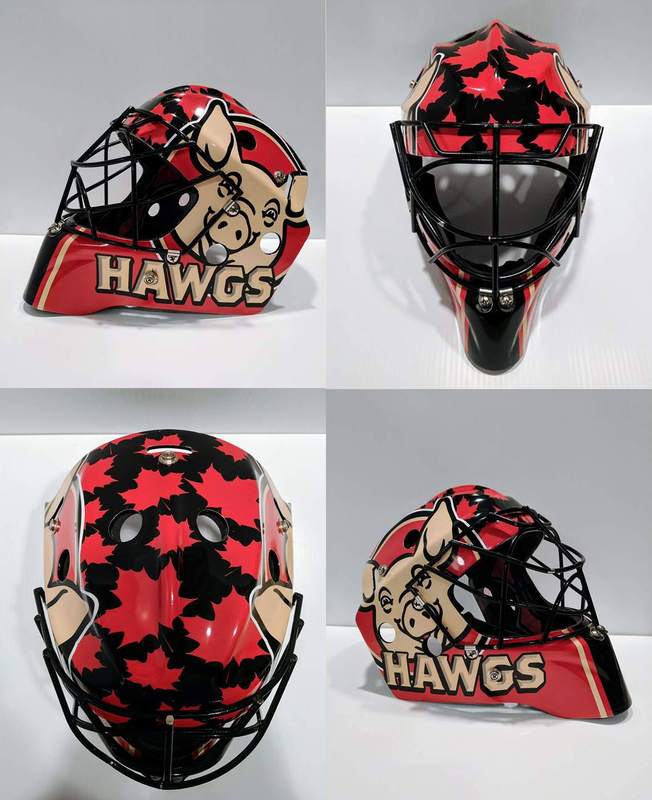 The Puck Hawgs were born in the summer of 2015 and since then I've often thought that getting a custom painted goalie helmet would be the icing on the cake. For the past two years I've been playing with a CCM9000 helmet (Senior) and about a year ago I replaced the stock metal cage with a black powder coated cat eye cage. I love it but the next step was a fully custom design. 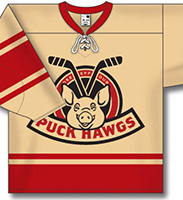 A Puck Hawgs design. I sought out mask painters but the estimates were sometimes double the cost of the helmet itself and since there's no NHL scouts on the horizon, they were out of my price range. I started seeing more and more about helmet wraps which use custom printed vinyl applied to the helmet that mimics paint. I've seen enough of these to know they can look as good as any paint job and possibly hold up longer without chipping. I chose Skinfx wraps: Designed & produced by Mark Maghnanti. He was highly reviewed in the goalie communities I frequent and his gallery included several examples of the style I was after. Simple, clean graphics instead of the complex shapes and patterns I see on so many masks that seems to hide any identity. I sent him an example of a mask I liked (Anderson- Ottawa Senators), and the Puck Hawgs logo. In an amazingly short period of time, Mark was messaging me with ideas and mockups that were soon followed by complete designs. After I gave him huge thumbs up on his ideas, he turned out the final product in just a few days. After seeing the final result, I couldn't be happier and it feels like another childhood dream come true. My own custom mask tricked out with the logo and colors of my own team! Special thanks to Mark for working through the entire process with enthusiasm and patience to get me something I am so proud of. I cannot wait to get on the ice with the Hawgs and my amazing Hawg helmet.